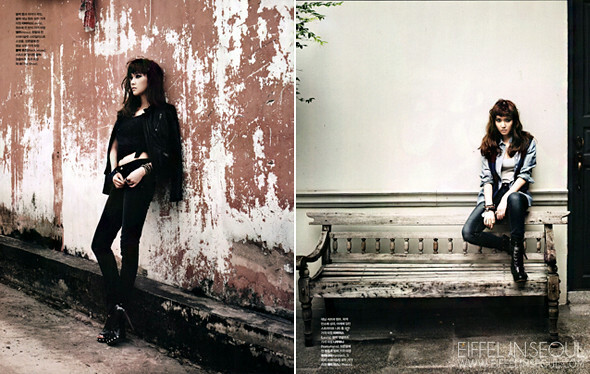 Jessica of Girls' Generation was photographed by Kim Young Jun for September's issue of Marie Claire Korea. The singer wore Levi's denim throughout the shoot with garments from Black Muse, Gerard Tully, J Peace, Kio Yamato, Manas, Mzuu, Namuhana, The Shoe, Yurinari and more. 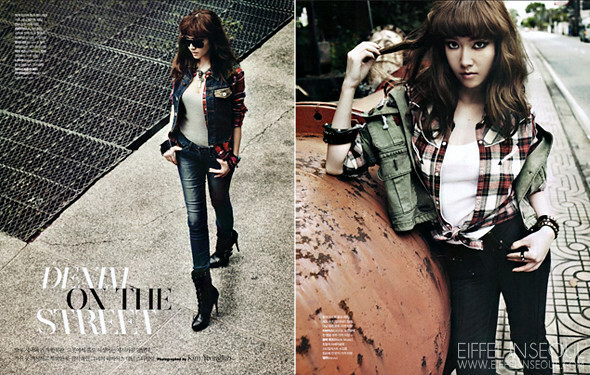 i never think that she's model material. the face just didnt work for me!